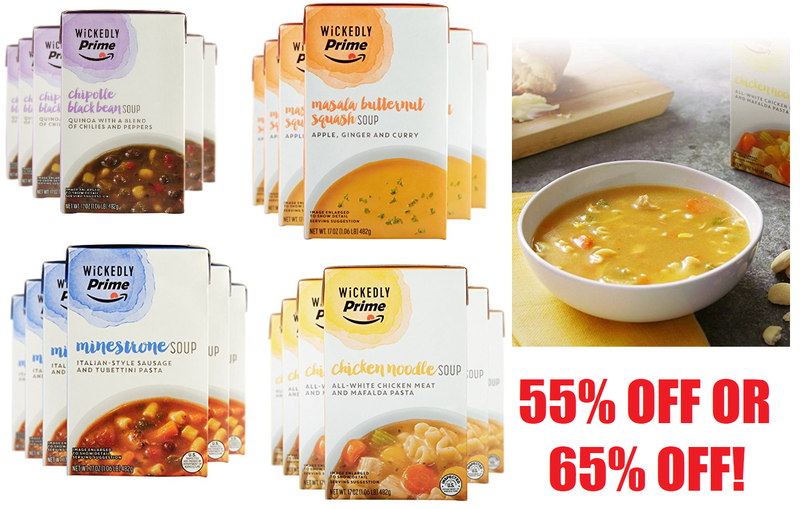 6 Pack 17oz Wickedly Prime Chicken Noodle Soup $9.69 (Reg $21.54) + Free Shipping or $7.53, 6 Pack Minestrone with Italian Sausage Soup $9.69, 6 Pack Masala Butternut Squash Soup $8.88, 6 Pack Chipotle Black Bean Soup $8.88 - Amazon Prime Members Only. Wickedly is an Amazon owned company. If you don't love the product you can just contact Amazon and they will give you a 100% refund, no questions asked. 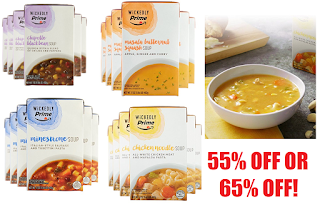 Choose below - the price will show higher, then clip the coupon under the price (you will see the lower price at checkout) and click where it says " Skip immediate delivery and just add subscription"
Clip the 50% off Coupon located under the price or product description. If you are on mobile scroll all the way to the bottom of the page and click on Amazon Full Site so that you can see the coupon.